Garudafood, one of the largest food and beverage companies in Indonesia, and the Barry Callebaut Group, the world’s leading manufacturer of high-quality chocolate and cocoa products, announce the signing of an additional agreement for the long-term supply of another 7,000 tonnes of compound chocolate per year to Garudafood’s biscuit factory in Rancaekek, a sub-district of Bandung, Indonesia. Barry Callebaut expects deliveries of the additional volumes to start in mid-2019. The concept of “plant-in-plant” will be implemented in the Garudafood’s Rancaekek biscuit factory with an investment of CHF 2.8 million (IDR 40 billion). The collaboration between the two companies will continue to be fuelled by joint innovation activities; further strengthening the position of Garudafood as a market leader in Indonesia. This second long-term agreement is a proof of the commitment of the successful partnership between Barry Callebaut and Garudafood, which began in June 2015. 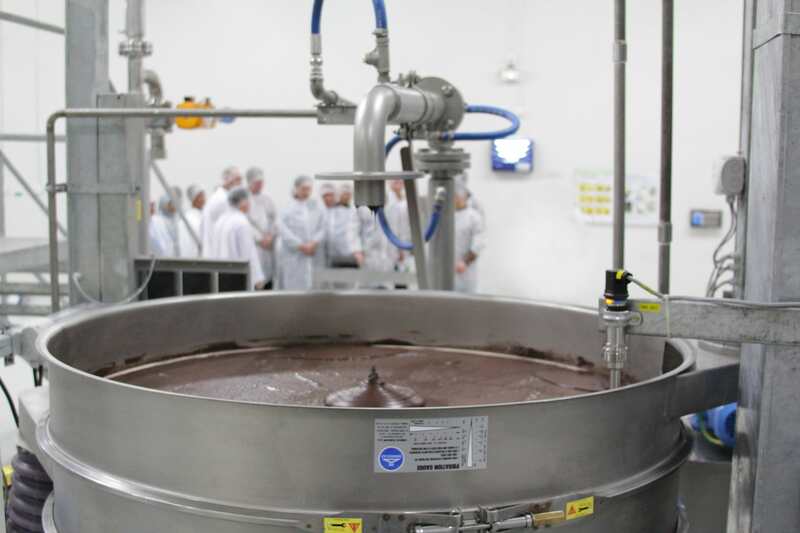 As a result, Barry Callebaut has built its first chocolate factory on Garudafood’s Gresik factory premises and is supplying more than 10,000 tonnes of compound chocolate per year to Garudafood. Barry Callebaut’s presence in Asia traces back to July 1997 when the company opened its first chocolate factory in Singapore. Across Asia, the company now operates five chocolate factories (China, India, Indonesia, Japan, and Singapore), three cocoa factories (two in Indonesia and one in Malaysia) and one combined chocolate and cocoa factory (in Malaysia). The company currently has more than 550 employees across Indonesia namely in Gresik, Bandung, Makassar and Lampung. It is also committed to expanding its sustainability activities for cocoa farmers in Indonesia through its Forever Chocolate Program. With annual sales of about CHF 6.9 billion (EUR 6.0 billion / USD 7.1 billion) in fiscal year 2017/18, the Zurich-based Barry Callebaut Group is the world’s leading manufacturer of high-quality chocolate and cocoa products – from sourcing and processing cocoa beans to producing the finest chocolates, including chocolate fillings, decorations and compounds. The Group runs about 60 production facilities worldwide and employs a diverse and dedicated global workforce of more than 11,500 people. The Barry Callebaut Group serves the entire food industry, from industrial food manufacturers to artisanal and professional users of chocolate, such as chocolatiers, pastry chefs, bakers, hotels, restaurants or caterers. The two global brands catering to the specific needs of these Gourmet customers are Callebaut® and Cacao Barry®. PT Garudafood Putra Putri Jaya Tbk (stock code: GOOD) is one of the leading food and beverage companies in Indonesia which was founded in 1990. Currently producing and selling food and beverage products under five of its leading brands, namely Gery, Garuda, Chocolatos, Leo and Clevo. These products include biscuits, nuts, pilus, chips, confectionery, milk drinks and chocolate powder. Garudafood currently has export sales to more than 20 countries with a focus on ASEAN countries, China and India.